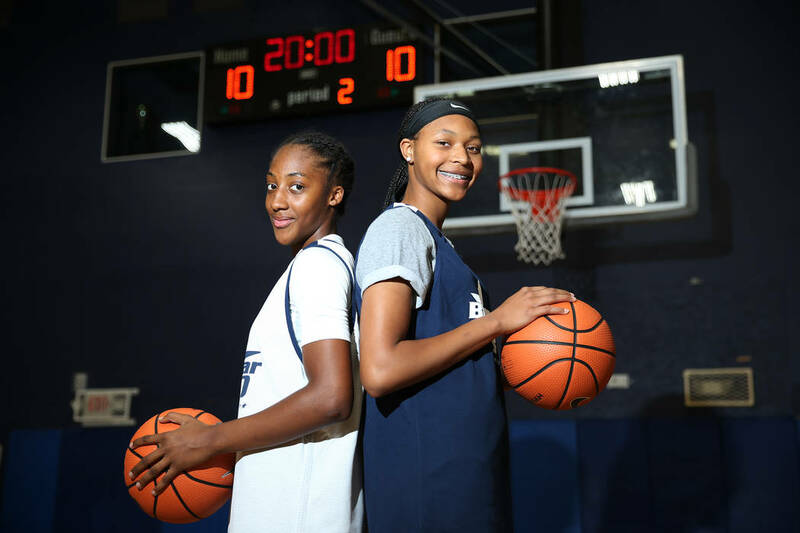 Centennial sophomore Taylor Bigby and Spring Valley freshman Aaliyah Gayles were among 92 of the nation’s best underclassmen to attend the BlueStar 30 girls basketball camp at Tarkanian Basketball Academy this weekend. 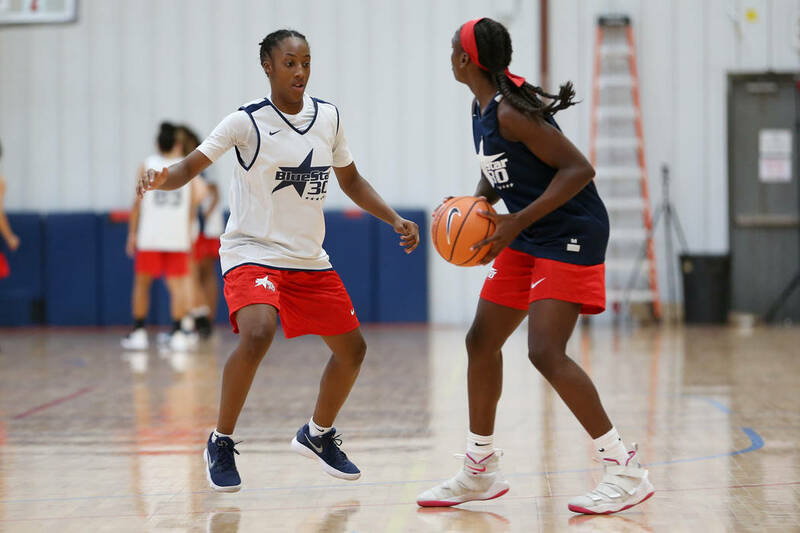 Girls basketball luminary Mike Flynn stood in the middle of Tarkanian Basketball Academy — surrounded by some of the best young players in the country — and made a bold proclamation about the two locals at his invite-only camp. 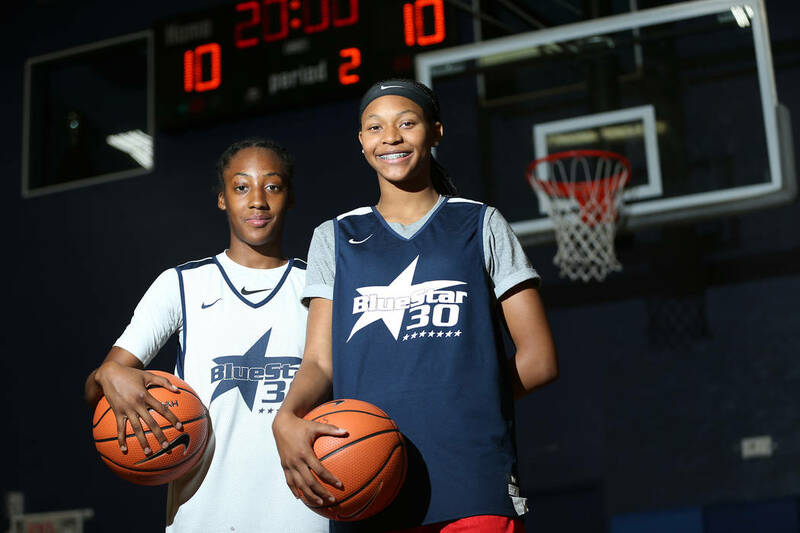 Flynn was referencing Centennial sophomore Taylor Bigby and Spring Valley freshman Aaliyah Gayles, the city’s best underclassmen and two of the 92 players at the annual BlueStar 30 Camp. The event, akin to the Nike Top 100 camp for boys, ran from Wednesday to Saturday, and brought some of the nation’s top-tier talent to Las Vegas for four days of competition, instruction and development. 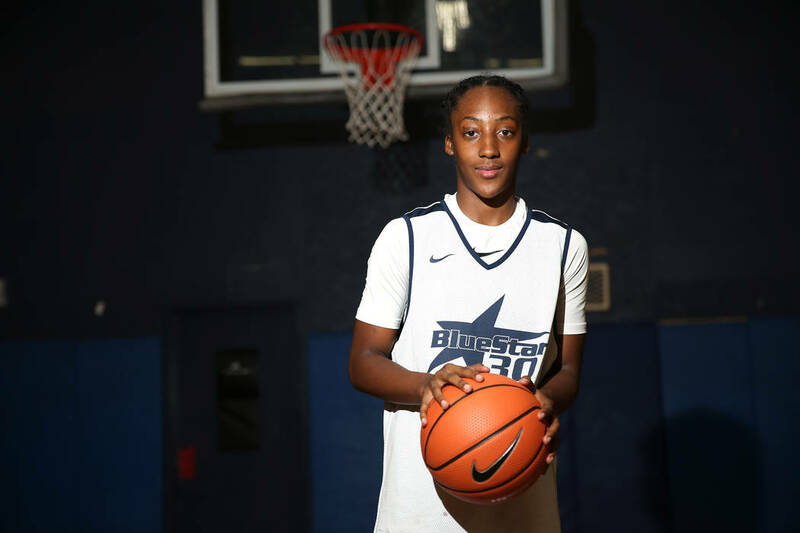 Bigby already has several high-major Division I offers, and is regarded as one of the top 10th graders on the West Coast. Gayles hasn’t yet played high school basketball and already has a scholarship offer from UNLV. The majority of the camp’s participants are high-end Division I recruits. “This separates (Bigby and Gayles) from all the players in the city,” said Flynn, who coached AAU basketball on the East Coast and is a member of the McDonald’s All-American selection committee. The camp, now its third year, was ran out of the Chicago area in 2016 and the Washington D.C. area last year. Flynn partnered this year with Tarkanian Basketball Academy general manager Lamar Bigby, who hopes the event returns to Las Vegas on an annual basis. 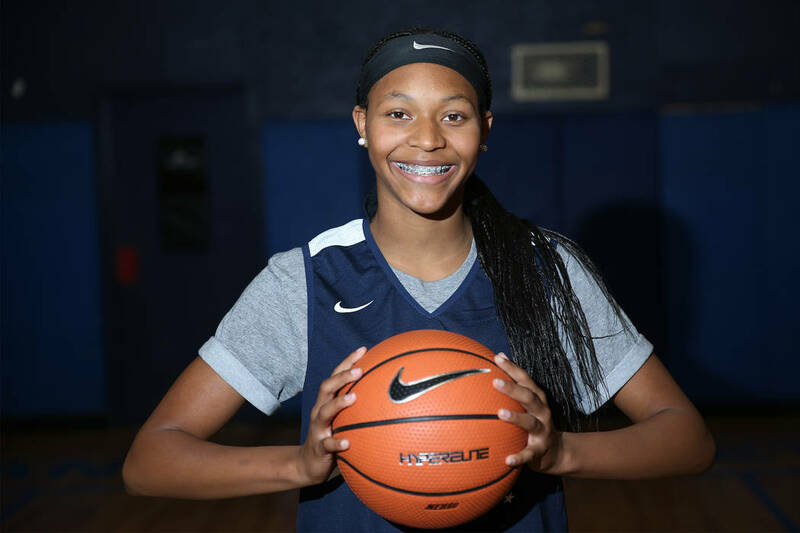 Gayles, a 5-foot-9-inch combo guard said she felt like she represented the entire city. Bigby, a 6-foot point guard, expressed the same sentiment and indicated the talent at the camp fostered a competitive environment conducive for growth. The campers also attended the Aces’ victory over the Los Angeles Sparks on Friday night, and mingled with WNBA personnel after the game. They posed for dozens of pictures Saturday to commemorate their experience, and played more basketball in front of some of the sport’s most influential evaluators. “Whatever they taught us, I’m going to use it because it makes me play better,” Gayles said. More preps: Follow Nevada Preps coverage at nevadapreps.com and @NevadaPreps on Twitter.